How does the I-94 Arrival / Departure Record look like? 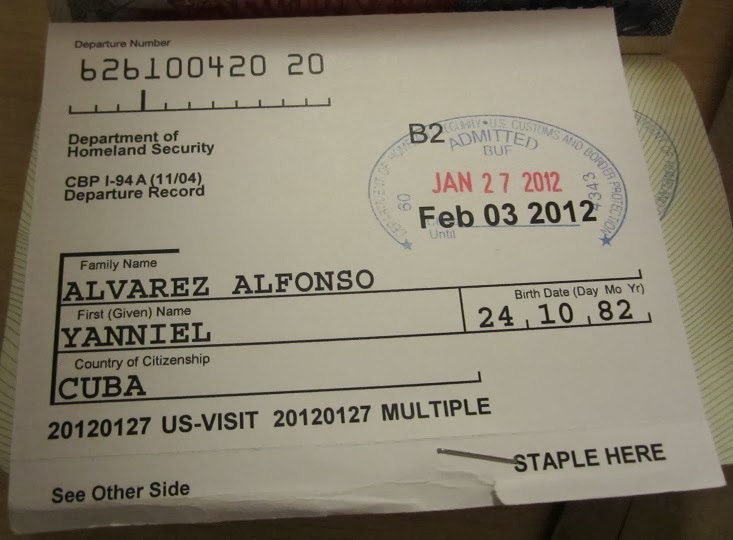 Many people incorrectly think that getting a US visa gives you a bullet proof authorization to enter the US. Wrong! The visa gives you permission to APPLY to enter the United States. Notice that there is a difference between “permission to apply to enter” and “permission to enter”. With a visa you can present yourself at a US Point of Entry (like an airport) asking to enter the country. At the point of entry, you will be either allowed or denied into the country. Now, if you are allowed to enter the US, then an I-94 will be issue for you and stapled into your passport. The I-94 is the Arrival / Departure Record and it says for how long you can lawfully stay in the US. You have to leave the US before the indicated time in the I-94. So, the validity of the visa DOES NOT tell for how long you will be able to stay in the country. 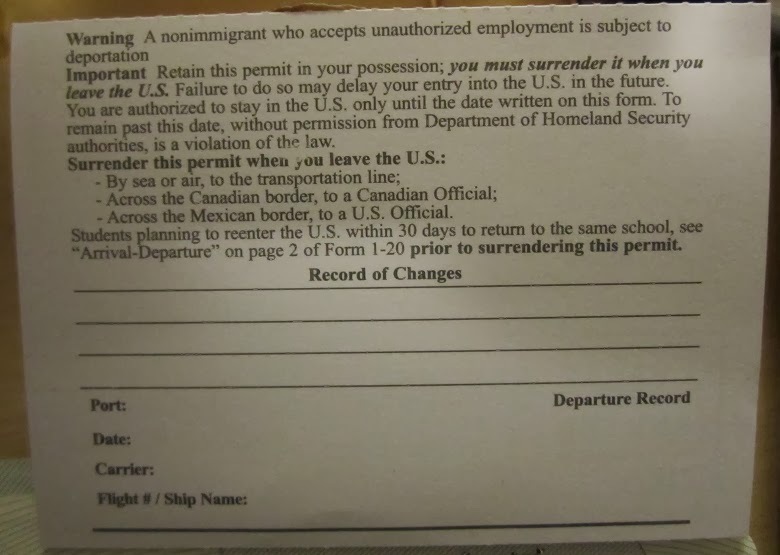 Instead, it indicates for how long you might appear at a point of entry asking for permission to enter the States. The time indicated in the I-94 DOES indicate for how long you will be allowed to stay in the US. You should return your I-94 when you leave the US. Failure to do so could mislead authorities into thinking that you remained illegally in the US. This might bring problems for you when you want to re-visit the country at a later time. So, make sure you don’t leave the US with the I-94. The I-94 is the size of a passport’s page. I am enclosing a snapshot of the I-94 (front and back) for illustration purposes. If you think this article was helpful, please, click the Google plus (G+) button at the beginning of this post. Thanks! US Visitor Visa for Permanent Residents of Canada: How to apply online? Multiple Entries to the US with the same I-94 Form.